Suvir Kaul received his B. A. (Hons. ), M. A., and M. Phil. degrees from the University of Delhi, and his Ph. D. from Cornell University. His first job was at the SGTB Khalsa College in Delhi; since then, he has taught at the University of Illinois at Urbana-Champaign, at Stanford University, and at the Jamia Milia Islamia as a Visiting Professor. He has also held post-doctoral fellowships at the University of Canterbury at Kent and at the Society for the Humanities at Cornell University. He teaches courses in Eighteenth-century British Literature, Contemporary South Asian Writing in English, and in Literary and Critical Theory. He has published four books, Of Gardens and Graves: Essays on Kashmir; Poems in Translation (New Delhi: Three Essays Collective, 2015; Durham: Duke University Press, 2016), Eighteenth-century British Literature and Postcolonial Studies (Edinburgh: Edinburgh University Press, 2009), Poems of Nation, Anthems of Empire: English Verse in the Long Eighteenth Century (Charlottesville: University Press of Virginia, 2000; Delhi: Oxford University Press, 2001), and Thomas Gray and Literary Authority: Ideology and Poetics in Eighteenth-Century England (Delhi: Oxford University Press, 1992; Palo Alto: Stanford University Press, 1992) and has edited a collection of essays entitled The Partitions of Memory: the afterlife of the division of India (Delhi: Permanent Black, 2001; London: C. Hurst, 2001; Bloomington: Indiana University Press, 2002). He has also coedited (with Ania Loomba, Antoinette Burton, Matti Bunzl and Jed Esty) an interdisciplinary volume entitled Postcolonial Studies and Beyond (Durham: Duke University Press, 2005; Delhi: Permanent Black, 2005). 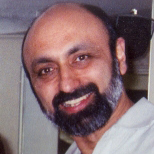 At Penn, he has served as the Director of the South Asia Center (2005-07) and as the Chair of the English Department (2007-10).